Faster Networks. Zero Maintenance. Best Prices. Cloud Ready. Bandwidth Shaping at its best. We are different and better. Our algorithms stand the test of time, and are Cloud Ready. Our traffic shaping appliances use our unique behavior-based Equalizing fairness algorithms to shape both your inbound and outbound traffic. We automate bandwidth management (aka traffic shaping, packet shaping) for your network. Immediately you will see higher QoS and optimal network performance, all while reducing maintenance and customer complaints. The NetEqualizer continues its tradition of cutting edge technology. We are Cloud Ready! Read our cloud blog articles to see how we can help you to optimize your cloud-based application traffic. Let us walk you through a personalized NetEqualizer Demo to see if the NetEqualizer is right for you. 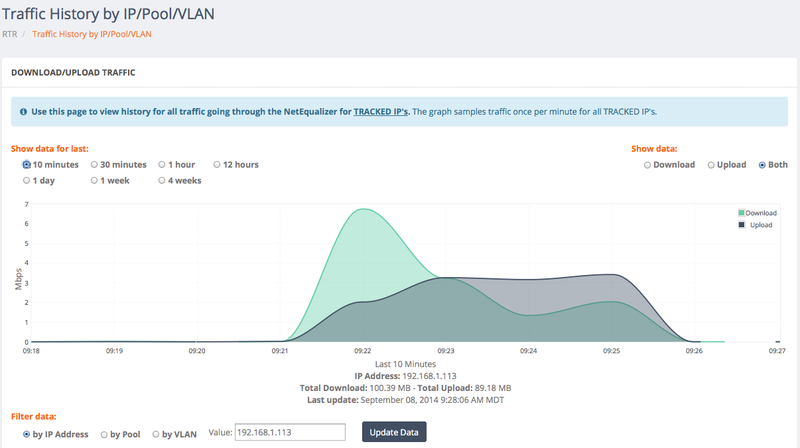 As of Software Update 7.1, we offer Dynamic Real-Time Reporting (RTR); as of this second traffic monitoring for IPv4 and IPv6 traffic. Sortable and searchable reports include Active Connections, Top 10 Flows, Connection Counts (possible P2P), and Penalized Flows. Traffic History graphs displaying from 10 minutes up to 4 weeks of data are also available. For more details on RTR, read the Dynamic RTR section of our User Guide.